“A heartwarming and beautiful story, and a glimpse into a world most wouldn’t consider even imagining.” -Gail R. Delaney, author of Precious Things. Have you ever wondered what the world is like for someone who can neither see nor hear? Lucy May Lennox ushers you into the life of a young man who was born both blind and deaf. For most of us it is difficult to imagine how we would function or how our life would work if we lost two of our senses. In this novel, the reader can learn about this fascinating world while also experiencing a beautiful story of love that transcends all boundaries. This is a unique story that will prove that love is possible for anyone. 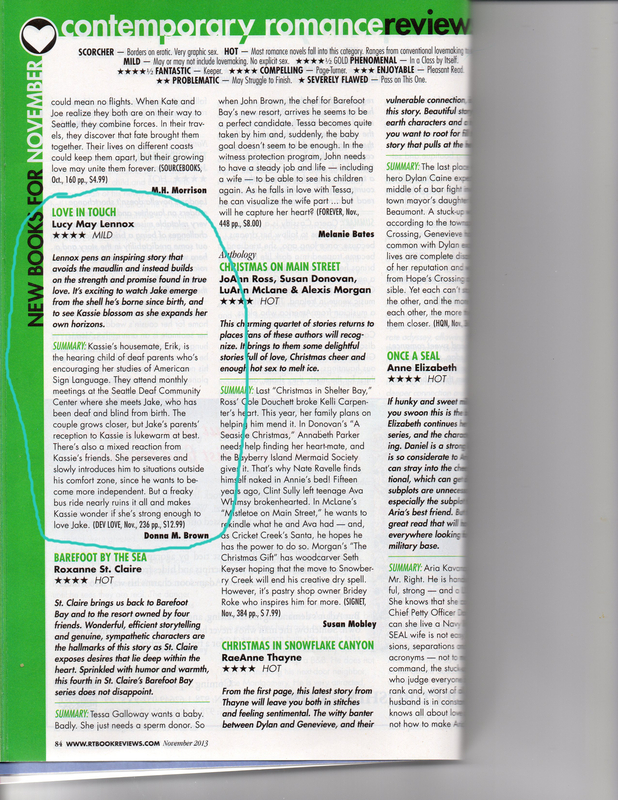 Along the way the reader is treated to rich detail about how someone lives with such a severe disability. 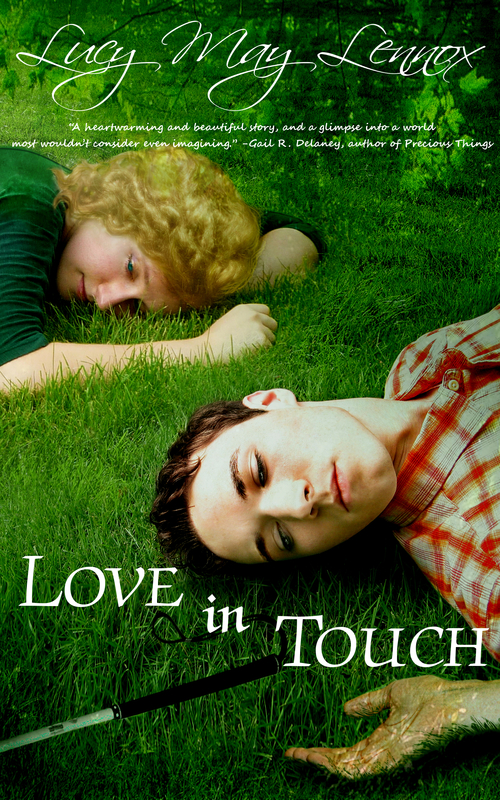 Love in Touch offers all the romance of the “wounded hero” genre, but from a more realistic perspective based on research and first-hand experience in the disability community. Lucy May Lennox is a lifelong resident of the beautiful Pacific Northwest. A connoisseur of novels featuring men with physical disabilities, she grew frustrated with all the clichés, ignorance and stereotypes and decided to write her own positive take on disability. 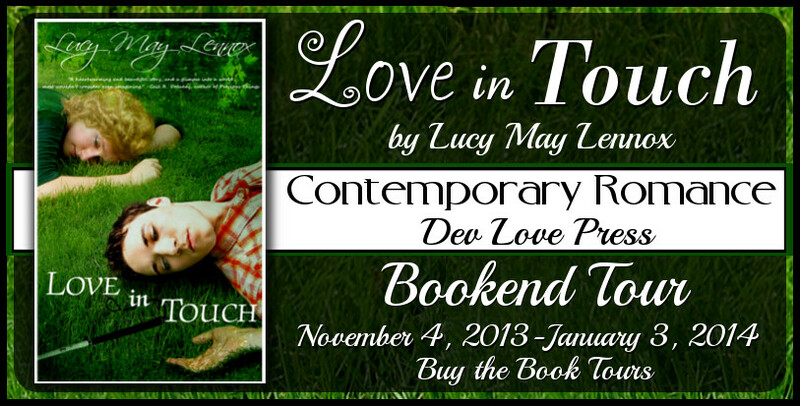 November 1st, 2013 pick up your copy of Love In Touch to be amazed and inspired by the depth of the human heart to love past all boundaries. From publisher Dev Love Press, which specializes in stories about people with physical disabilities. You’ll be ready if you ever meet your Jake or if you just want to be able to make new friends!